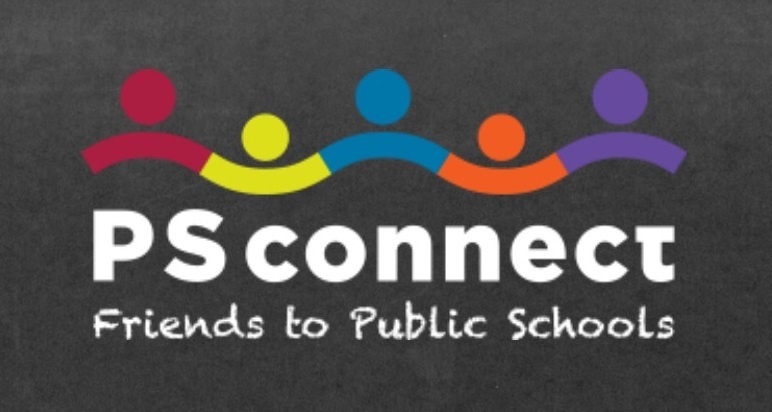 PSconnect is planning an outreach event promoting the Venice/Marina Del Rey area schools. Contact us for additional sponsorship benefits for this event! And see below for the launch of our public programs. PSconnects US! is a series of public programs launching now. We will connect our community with the leading voices in public education activism. Armed with their stories of hard-won victories and heart-wrenching defeats, these advocates will engage our Los Angeles community in discussions about what’s impacting our neighborhood schools. Folks will leave inspired to support schools and public education. These fierce advocates have agreed to come to Los Angeles and speak with our community. DONATE today to make these confirmed events a reality!! Charter Choice - Civil right or segregation? NAACP, Black Lives Matter, ACLU, and Journey for Justice are all heating up the debate about charter schools. We’ll hear about it from Julian Vasquez Heilig, an award-winning researcher and Professor of Educational Leadership and Policy Studies, the Director of the Doctorate in Educational Leadership at Cal State Sacramento, and a social media powerhouse www.CloakingInequity.com. Mercedes Schneider is a prolific researcher and blogger at www.deutsch29.wordpress.com. She’ll explore why ed reform looks good on the surface, why so many remain on the reform bandwagon and what is necessary to keeping the illusion of success alive. Schneider has authored three books: A Chronicle of Echoes: Who’s Who in the Implosion of American Education, Common Core Dilemma: Who Owns our Schools? and School Choice: The End of Public Education? Ground Zero in the movement to opt out of standardized testing is Long Island, NY. Parent founder of Long Island Opt Out, Jeanette Deutermann, and Badass Teachers Association director, Marla Kilfoyle, galvanized over 220,000 students to opt out as they fought against privatization. They'll share their stories from the trenches. What impact has this had? Is this a New York thing or is California next? JOIN US! With your financial commitment, we will connect more and more people to our public schools. The time is NOW. Please join us by funding this urgent program to inform and activate our community! HELP US SHARE this campaign with family, friends and associates. WE CAN'T WAIT TO CONNECT WITH YOU AT OUR FIRST EVENT!! 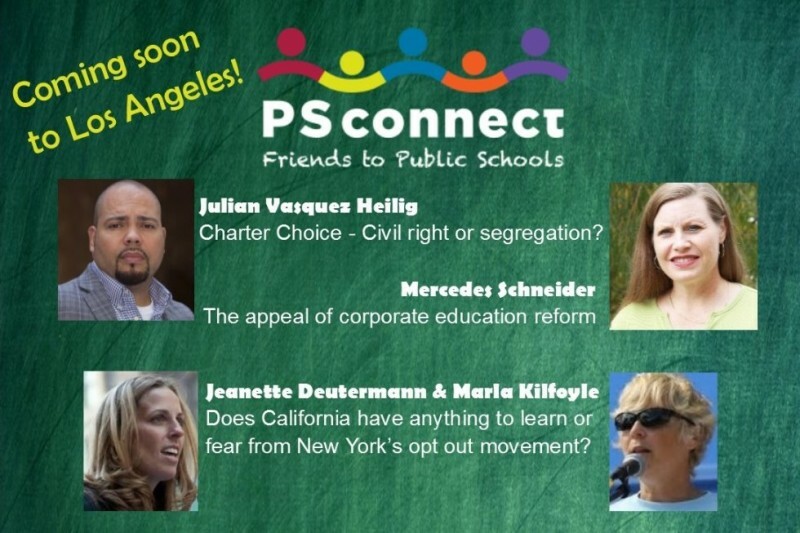 PSconnect Founder: Karen Wolfe, a Venice, California mom who loves LA Public Schools, our teachers, administrators and staff for all they do for our kids! Thank you Bertis Downes, Sylvia Aroth, Anthony Cody, Larry Lawrence, and Mel & Anne Green for getting this off the ground! With more support, we will bring these confirmed speakers to Los Angeles! I hope you'll support this program series. No donation is too small! Thank you Bertis Downes, Sylvia Aroth, Anthony Cody, Larry Lawrence, Mel Green and an anonymous donor for getting this started! I am so excited to bring these awesome advocates to Los Angeles for a series of public programs. They are waiting to hear from us on dates. With your support, we will get these three dates on the calendar! Donate $20 and get our thanks. Donate $50 and get a (((big thank you))) on facebook & twitter (unless you'd rather be anonymous, of course). Donate $100 and get a big thank you on facebook & twitter, and a listing on PSconnect's website. Donate $250 and get a big thank you on facebook & twitter, a listing on PSconnectNow.org and recognition at the event. Many big thank yous on facebook & twitter, featured listing on PSconnectNow.org during series & in eblasts, recognition at the event. Many big thank yous on facebook & twitter, featured listing on PSconnectNow.org & eblasts for six months, special recognition at the event. "You go" to PSConnect!!! Great work!! We must do everything we can to bring sophisticated people like this to help us confront the privatization of our California schools. Thank you for sharing these voices. Mel and Anne Green are excited to donate to help you spread the word Karen. Best of luck to you.